Recipe Instructions: Decoction :Like mnost all barks, taheebo can benefit from soaking in cold water overnight before brewing in the morning. 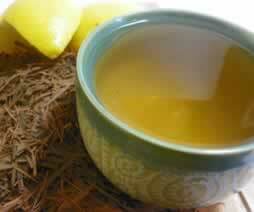 Bring a tablespoon of shredded bark to a boil in at least 500 ml of cold water, then steep until cool enough to drink. Lemon helps your system absorb more of the helpful tannins. A pinch of cinnamon and honey make it tasty and all the more better to cure a head cold and soothe a sore throat. Bladder Infection (UTI) :Drinking herbal teas is a time tested method of combating bladder and urinary tract infections. Colds : Be prepared for the cold and flu season by stocking your herbal medicine chest with a ready supply of herbs. Immune :Tonic herbs help to ward off colds and infections by boosting the immune system.